For those that don’t know the history of Dirt Devil, here is a quick summary. The company’s original name was Royal Manufacturing and it has gone through a great deal of change since its humble beginnings in a backyard garage. It was started in 1905 and focused on making vacuum cleaners. Their appliances were handmade and slowly advanced to metal vacuums before the company grew further. Although the focus was on vacuum cleaners, there was curiosity to extend the range to washing machines and hair dryers, which they began to produce, but in smaller numbers compared to their vacuum cleaners. Things took a turn when the owner decided to sell the company in 1953. After the sale, the company was renamed to Royal Appliance Manufacturing. The new company continued producing home appliances for a while but soon discontinued. A former employee saw great promise in the company and bought it back to its feet with a group of dedicated workers. His name was Stan Ebor and he continued to build the company from strength to strength until his dying days, by which time the business had been vastly improved in every division. After 1980, Royal Appliance’s strong performance came to the attention of various businessmen who then bought the company and marketed its products on a bigger scale. Something very special happened in the mid-80s, the company created a vacuum cleaner dubbed Dirt Devil Hand Vac. It was an instant sensation and the company’s best seller. Since then, Dirt devil has made a name for itself and continues to be a popular cleaning appliance in many households. I’ll take you through a range of their best performing vacuum cleaners. Small amounts of dirt such as bread crumbs and food spillage occurs frequently but don’t require a full-sized vacuum cleaner to get rid of them. A handheld vacuum is the ideal solution because it’s readily available and can be conveniently tucked away somewhere close to the offending areas. Dirt devil loves making handhelds. This is their comfort zone and they’ve perfected the handheld to provide you with great features focused on convenience. 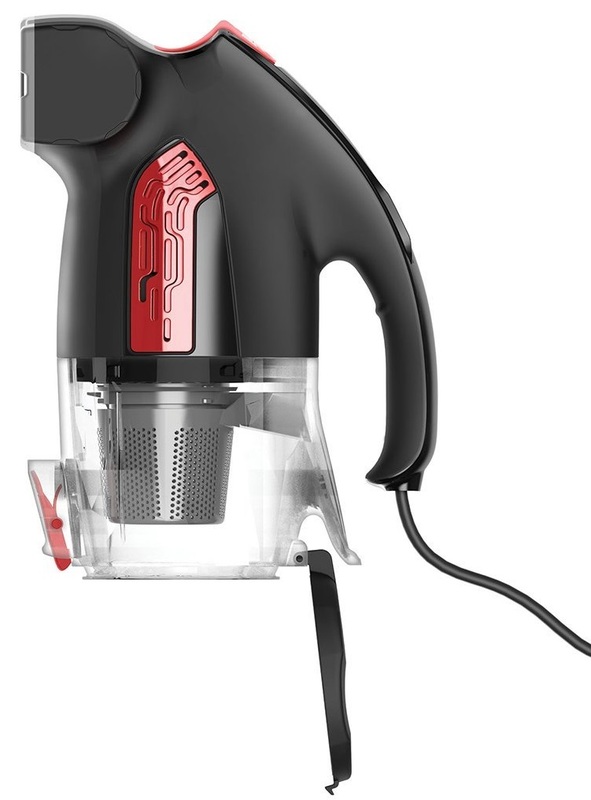 The Dirt Devil HandVac 2.0 is one of the company’s leading bagless handheld. Portability is its forte and it costs less than $40. It’s small enough to take wherever you need it. Awkward spaces such as the loft or your car’s interior can be a nightmare to clean with a cumbersome vacuum. This is where the handheld excels, it was made for tight spaces. 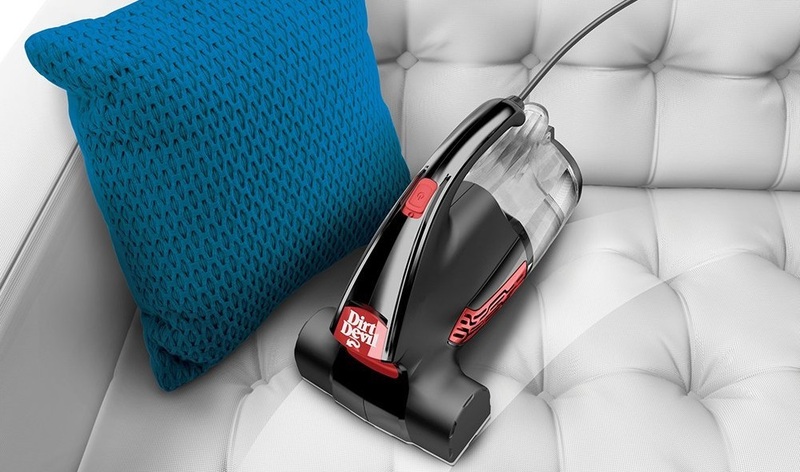 The updated Dirt Devil HandVac 2.0 has been refined- it looks stylish and feels premium. A long 6 metre power cable means that you are not constantly looking for a power socket to reach the other side of the room. The rotating brushes put this handheld vacuum in a class of its own. It lifts stubborn dirt with the force of a much larger vacuum. The bagless technology allows for seamless dirt disposal. Washable filters lower the cost of maintaining an appliance that’s already good value. It weighs just 2.2 kgs and won’t cause you any sort of strain thanks to the improved grip handle. Extra tools can be purchased at a low cost. It operates at a low noise level to minimise distraction and is very energy efficient. Dimensions are only 27.9 cm x 16.5 cm x 22.4 cm. 1 year warranty comes as standard. 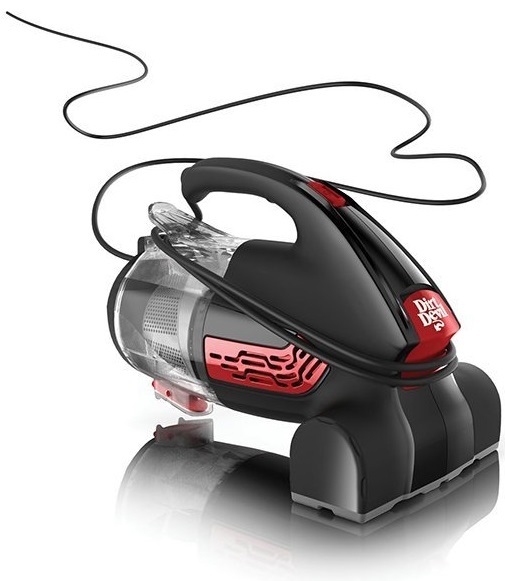 A lot of thought and innovation has gone into the design of Dirt Devil’s broom and stick vacuum cleaners. 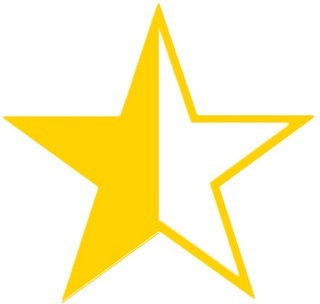 They are extremely light and agile enough to clean hard-to-reach spaces with ease. Their stick appliances are capable of cleaning wooden flooring and tiles effectively, where other vacuums might struggle. You can purchase stick vacuums either corded or cordless. The Dirt Devil Vac+Dust with SWIPES is equipped with a Dirtlock feature to clean dried up food spillages which might be difficult to clean with disposable wipes. A spotless hard floor won’t be difficult to achieve thanks to the impressive suction power. Another thing you can be assured about is that these powerful appliances are provided at great value. The machine can switch from a stick to a handheld increasing its versatility. Its incredibly light weighing just 1.77 kg. Its actually lighter than most handhelds. Measuring only 17.7 x 22.8 x 101 cm, these sort of measurements make the Simpli-Stik a remarkably slim appliance packed with power. For added convenience, the machine has on-board storage for the power cord and wheels at the base. It possible to find more expensive machines without these features. A long 4.8 metre power cord provides the length to reach difficult areas without a power socket close by. Bagless technology is included so you never need to worry about replacing dust bags. Its one of the most energy efficient stick vacuums you can buy. It uses only 1.25 Amps of power. If you live in a small city pad /apartment with limited space then this is the perfect cleaning appliance. The machine has an on-board crevice tool to reach into tight gaps and spaces. Surprisingly Dirt Devil have equipped this model with washable filters, which is unheard of at this price point. A washable filter is a very welcome addition as it reduces the cost of maintenance even further and keeps the vacuum performing at its best. Its hard to believe the suction power that comes from such a slim frame. And here’s the best part. It can be purchased for less than $20. A trip to the cinema costs more. If you require a machine that will provide a thorough deep clean around the house, your best option is the trusted upright vacuum cleaner. It’s robust features will ensure that dirty carpets and hard floors are left free from ingrained dirt and dust. A conveniently located pedal enables you to switch on/off the rotating brushes depending on the type of floor you’re cleaning. It has HEPA filters to clean the air and get rid of airborne allergies. A long 7.6 metre power cord is plenty to get around the house without worrying about plug sockets. 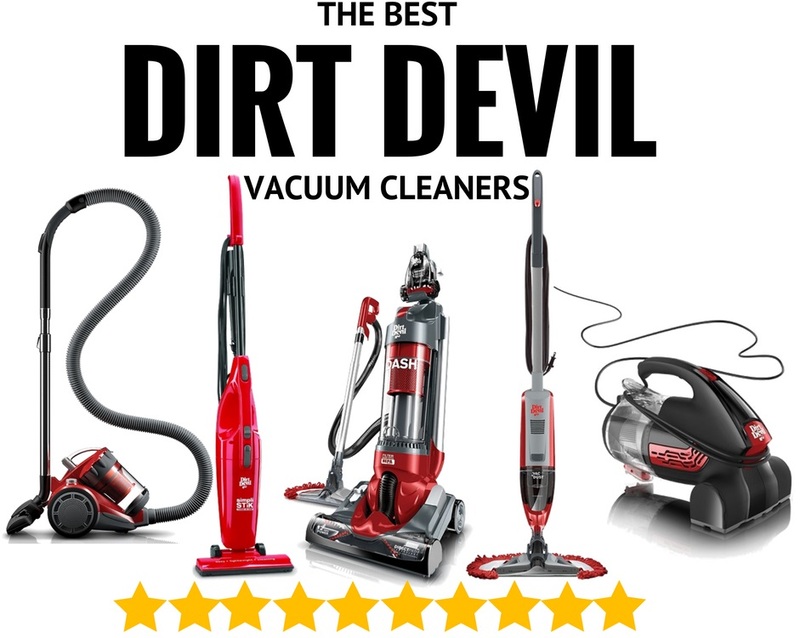 Dirt Devil think of every aspect of the vacuum cleaner, even dirt disposal has been simplified with their unique bagless technology. Ceilings and chandeliers are easy to reach using the on-board extendable hose. 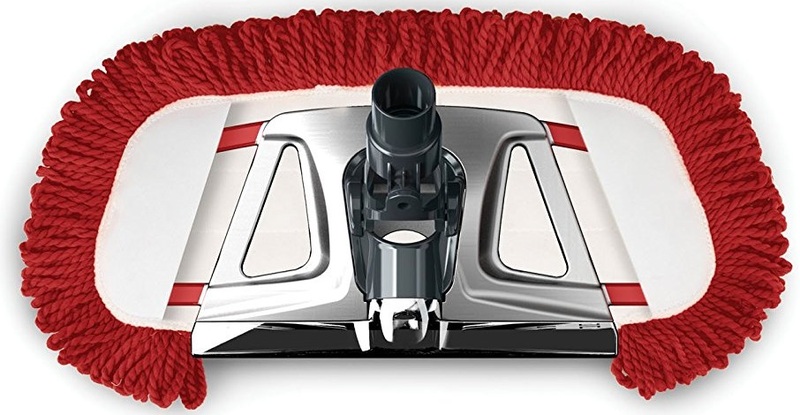 Edge-to-edge cleaning, for corners, is made possible by Direct Path Technology built into the cleaning head which is 31 cm wide. The height of the cleaning head adjusts automatically to maintain powerful suction and airflow thus preventing the head from getting stuck to the floor. 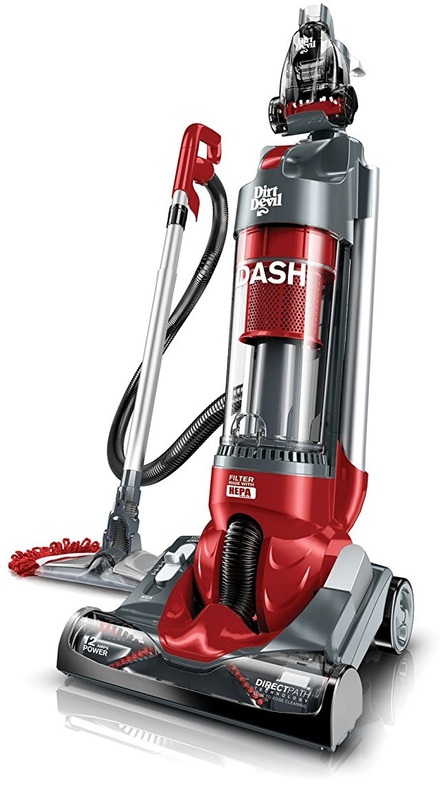 The Dash Dual Cyclonic is equipped with a Vac+Dust Hard Floor Tool with a SWIPES microfiber pad to ensure that hidden dirt is not left behind. A good selection of attachments are provided including a 2-in-1 combination tool, air powered turbo tool, Vac+Dust tool and an extension wand to improve the effectiveness of your cleaning tasks. Dirt Devil are so confident in the superiority of the unit that they provide an extended 3 year warranty at no extra cost. 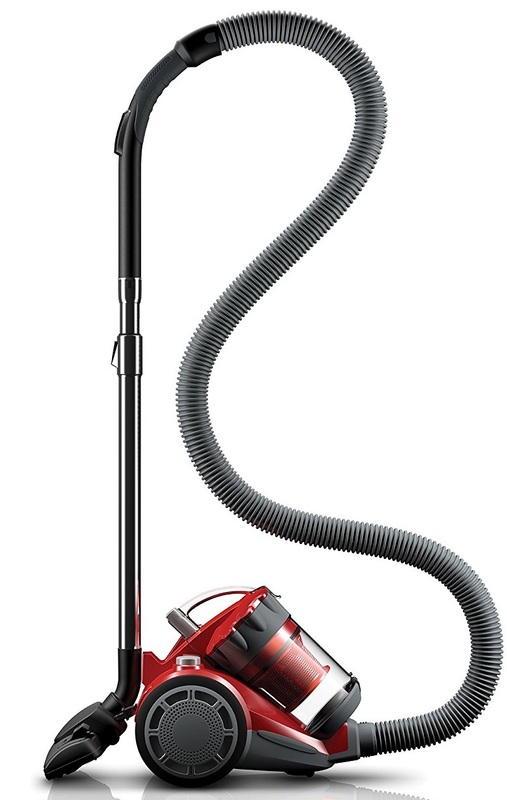 It’s competitive priced for a bagless vacuum with HEPA filters and features found on more expensive rivals. Cylinder vacuums have earned a space in the cleaning industry because they offer the features and power similar to much larger machines. The benefit of their design is portability and longevity plus they require little maintenance. I’ve owned my cylinder unit for over 5 years without a glitch. 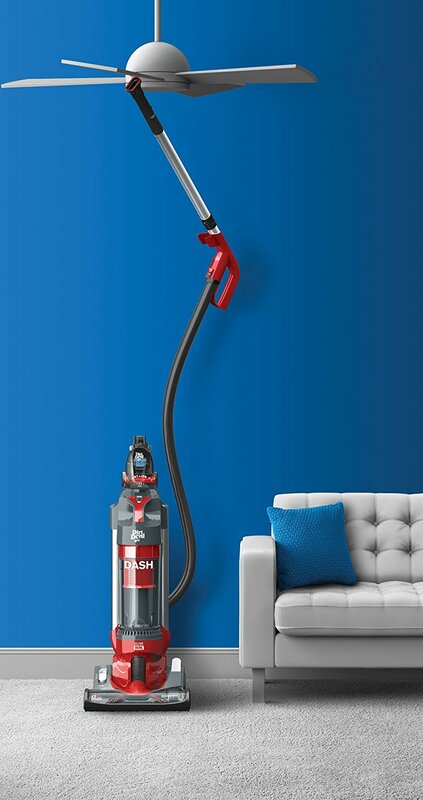 A cylinder vacuum is agile enough to use throughout a large house, small flat or underneath furniture without needing to constantly change attachments. It’s a fantastic all-rounder. One of the best cylinder vacuum from Dirt Devil is The Featherlite Cyclonic Bagless Canister. The Featherlite Cyclonic Bagless Canister is a top performing Dirt Devil vacuum offered at fantastic value. 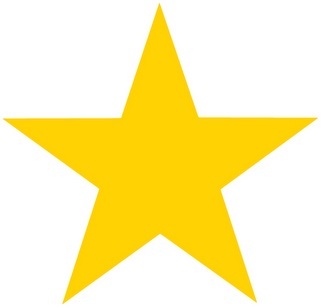 It is very light and a joy to manoeuvre around the house. The powerful retractable brush is great at seeking out hidden dirt and doing away with it. Dirt Devil have created a genius method of cleaning dirt and dried up food, stuck on the floor, without requiring disposable pads. These eco-friendly wipes reduce wastage and clip onto your vacuum cleaner. SWIPES are machine washable microfiber clothes that can be reused up to 50 times. These clever pads seamlessly lift dirt and dust off your floors. Dirt Devil pride themselves in offering a great level of customer service and after care for their products. 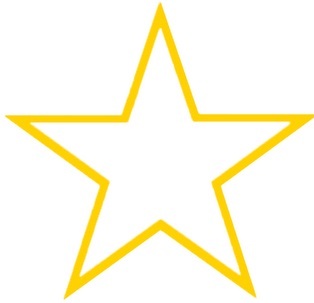 They provide an extensive range of spare parts to increase the life of your vacuum cleaner. The parts are easily replaceable and includes items such as replacement filters, belts, cleaning attachments, dirt bags and adaptors. You wont be short of a replacement part if your machine ever breaks down. It’s refreshing to find a company that are passionate about offering the best vacuum cleaning technology at such affordable prices. Whether you’re after a lightweight handheld or a full-sized upright, Dirt Devil have all the boxes ticked from clever convenient design to great aftercare. Have you owned one their appliances or are you thinking of buying one? Please share your experience in the comments section below. It is rather impressive and quite incredible how far the world of interior cleaning has come. Funnily enough, here in Japan, vacuum cleaners are still relatively rare. I read your post and thought how much I’d love one in my big timber-filled living room – my wife still gets on her hands and knees with a dustpan! Very informative and I might just nudge this article in front of my wife’s eyes soon….